Y'all, New Adult novels are easily becoming one of my favorite genres, and TRUE demonstrates one of the many reasons why. 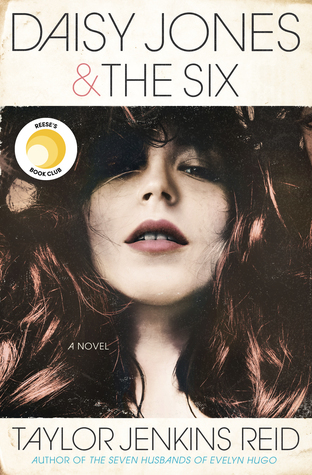 If you read my review, you'll know that I literally tore through this novel in a day. 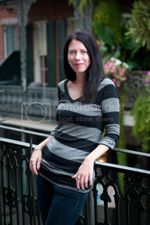 Needless to say, I am pleased to have the author, Erin McCarthy, answer a few questions us. Please welcome her to Addicted 2 Novels! For anyone that hasn't heard of TRUE, how would you describe it to them? TRUE is my first new adult story, which is about that transitional point in life between high school and the professional world of your later twenties. Rory is socially awkward and is just looking to have the same sexual experiences as other girls, only she is not prepared for the feelings she winds up having for Tyler, who comes from a completely different perspective on life. Did you base any of the characters on people you know or possibly pieces of yourself? No, I never base characters on real people. I have written my cat into a book before though. ;) I think for most girls and women there is a piece of Rory in them, that social awkwardness, wanting to fit in, wanting a guy to think they’re all that. So yes, I have felt all of those feelings (more often than I wish!) and so I get Rory, but she is not me. How would you describe the New Adult genre? Oops, I sort of answered that in the first question. But to expand on that, I think something that characterizes the NA genre is the freedom that the heroine’s have. While there is still huge parental influence (usually in the form of financial support) the parents are not physically present. There is no full-time job, no house to care for, and so the characters have the freedom for self-exploration and personal growth. It’s an awesome, intense time in your life. When you were in college, where was your favorite place to hang out with your friends? We hung out at the dance clubs and a skeezy bar called Mr. K’s which had a tiny room with red carpet on the walls that we claimed as our own. We also loved Denny’s at 4am, seeing live music, shopping in weird little stores on this street called Short Vine in Cincinnati, and going to the top of Mt. Adams to see the whole city below us (which makes a cameo in Jessica’s story). I noticed you're writing a follow-up novel from Jessica's point of view. Do you plan on writing others? Maybe writing one from one of the guy's (like Bill)? Well, that is a maybe. Ultimately, it’s up to my publisher if there are more books with these characters in them. I don’t see myself writing Bill’s story, but I have been entertaining an idea for Robin, who is only briefly in TRUE, but is in the next book a little more. If readers want to see the guy’s pov, I could see weaving it into a book where we go back and forth between heroine and hero in first person. That could definitely be fun. So readers, give me your opinion on what/who you’d like to see! Special thanks to the fabulous people at Berkley for setting this interview up and to Erin for answering a few questions for us! 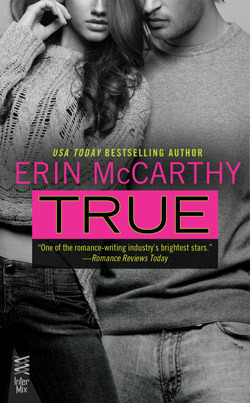 Be sure to check out TRUE, follow Erin on Twitter, and add TRUE to your Goodreads list.